We spend days preparing for Thanksgiving - gathering recipes, shopping, cleaning, and cooking a lavish meal to enjoy with family and friends. 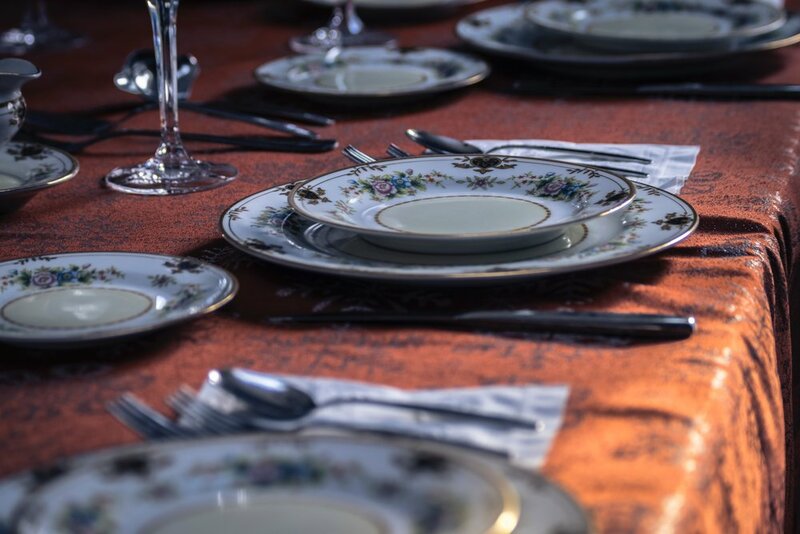 One way to make the meal even more special is to serve it on a beautifully set table. 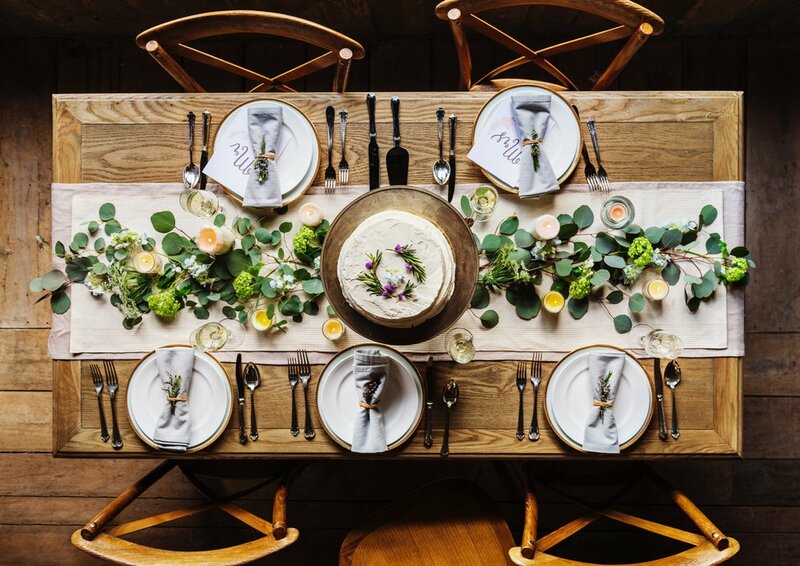 Jamie Rehm, owner of Bud Floral + Home, shared some of her favorite tips for creating an elegant tablescape for the occasion. Whether you opt for simple white or your grandmother’s china, Jamie recommends that you first decide which dishes to use for the meal. “This will help you decide on accent colors for your centerpiece,” she adds. A good next step is selecting a table runner to use, especially if you have a long, rectangular table. “A roll of butcher paper is easy, or you can use a painter’s drop cloth, folded in half lengthwise,” Jamie suggests. You can use a table runner alone, or pair it with your favorite table cloth for a more formal look. “For a big impact, pick simple flowers, all in one color,” Jamie suggests. She recommends using white hydrangeas. For a fall look, you can also opt for dried flowers, right from your yard. Once you’ve decided on your flowers, gather enough to arrange them into one large, low vessel for the center of the table, or three smaller vessels. Keeping these arrangements low will make it easier for your guests to see each other and keep the conversation flowing. Now, it’s time to head outside and cut some fall branches and greenery. Look for branches with berries, colorful leaves, or other visual interest to spread down your table. Candles are a traditional option, but you may not want the worry of passing food across the flame or having wax melt onto your heirloom linens. Instead, you can opt for battery operated twinkle lights and tea lights to make your table festive. Now that you have a plan, and you’ve gathered up all the elements of your tablescape, it’s time to put it all together! Thanksgiving Day can get hectic, with guests arriving and hours of food preparation, so give yourself the gift of time by starting a day or two early. Bud Floral + Home is based on Signal Mountain and offers flowers, home decor, and services including weddings, events, classes, deliveries, weekly subscriptions and more. Bud sells fresh flowers and home goods daily at Pruetts on Signal Mountain. View their class schedule and learn more about their offerings by visiting them online at budfloralandhome.com.